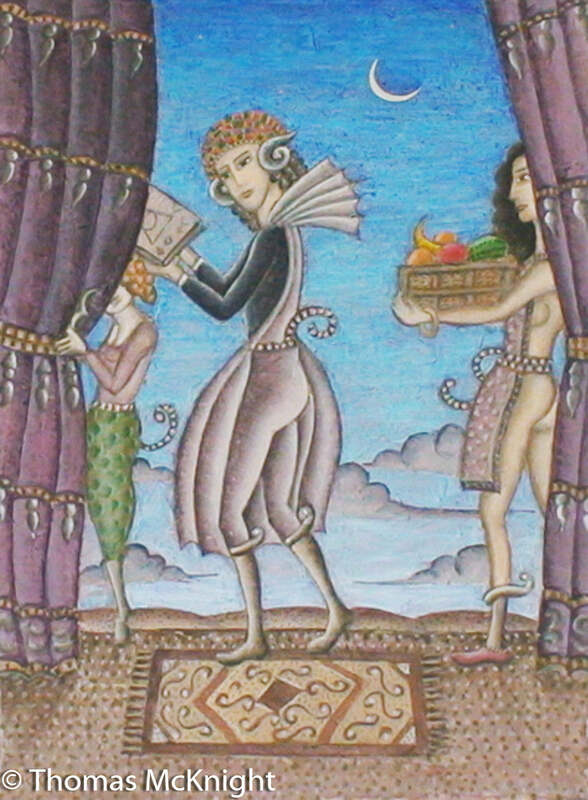 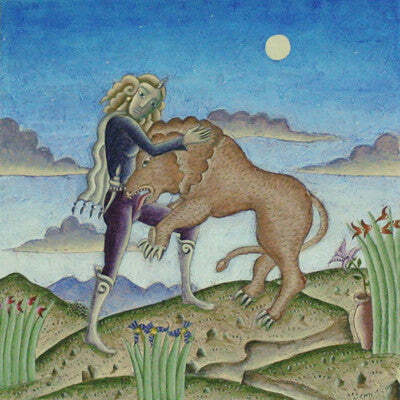 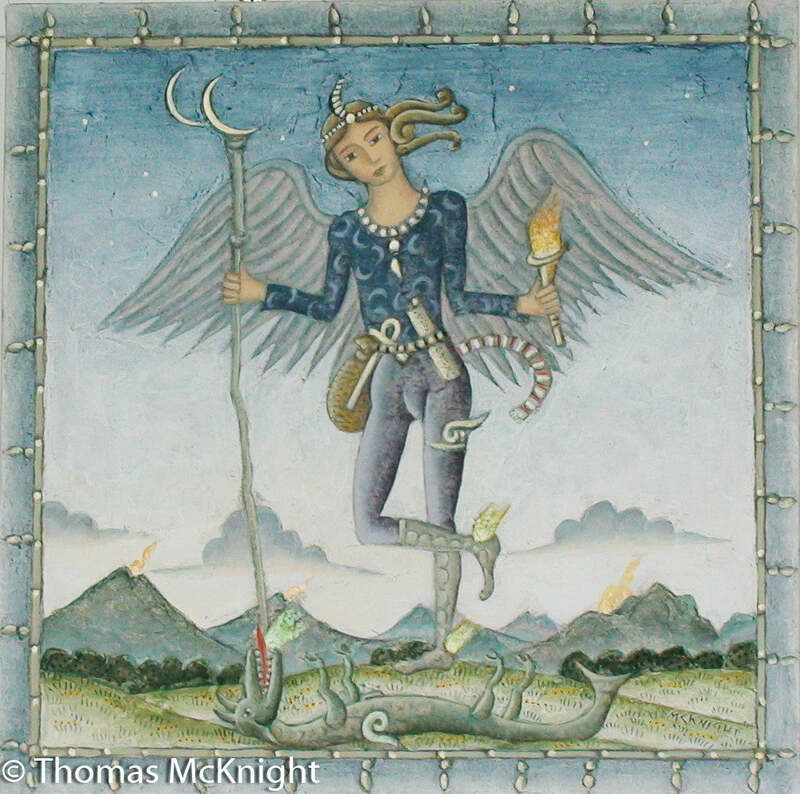 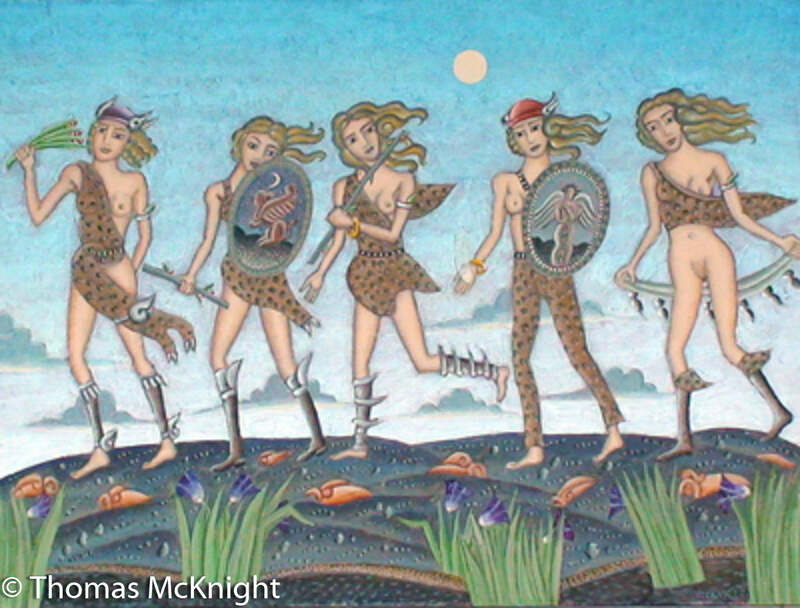 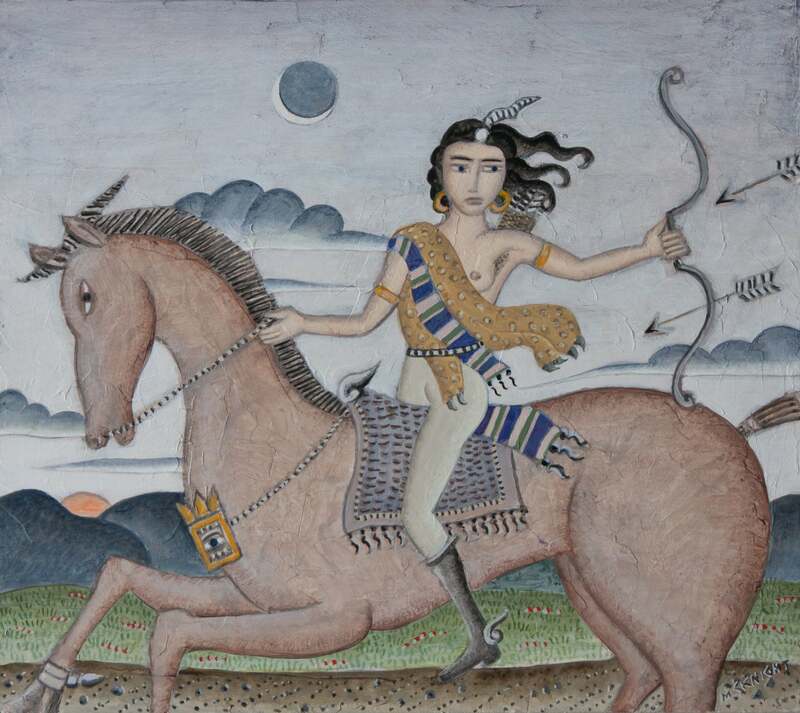 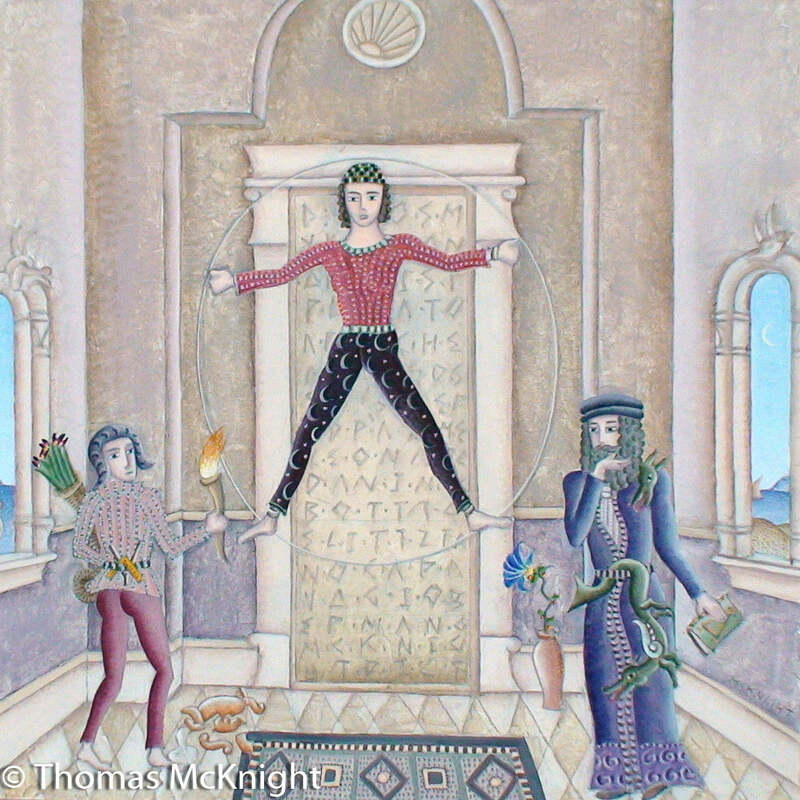 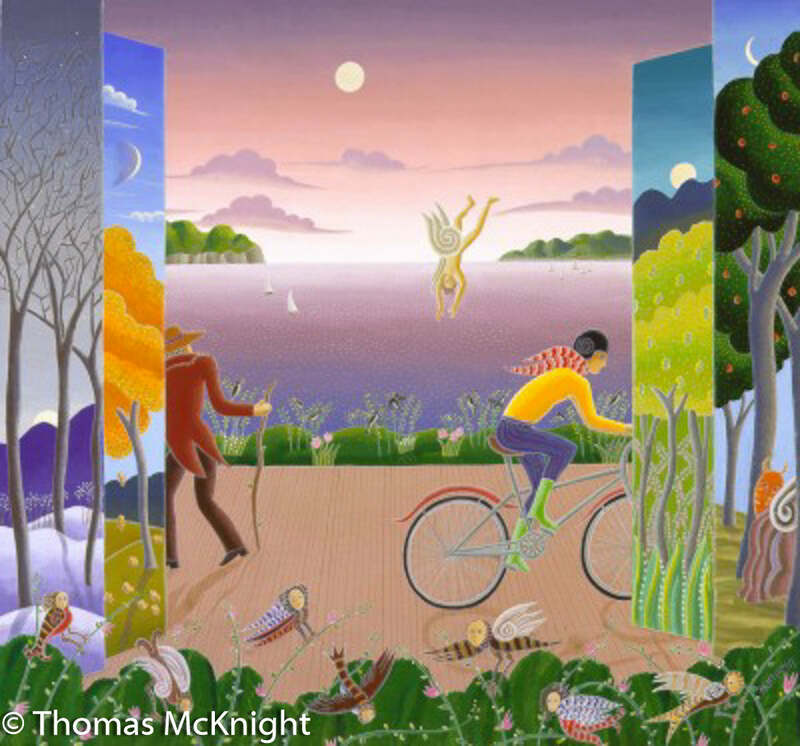 Thomas McKnight’s original paintings of enchanted visions. 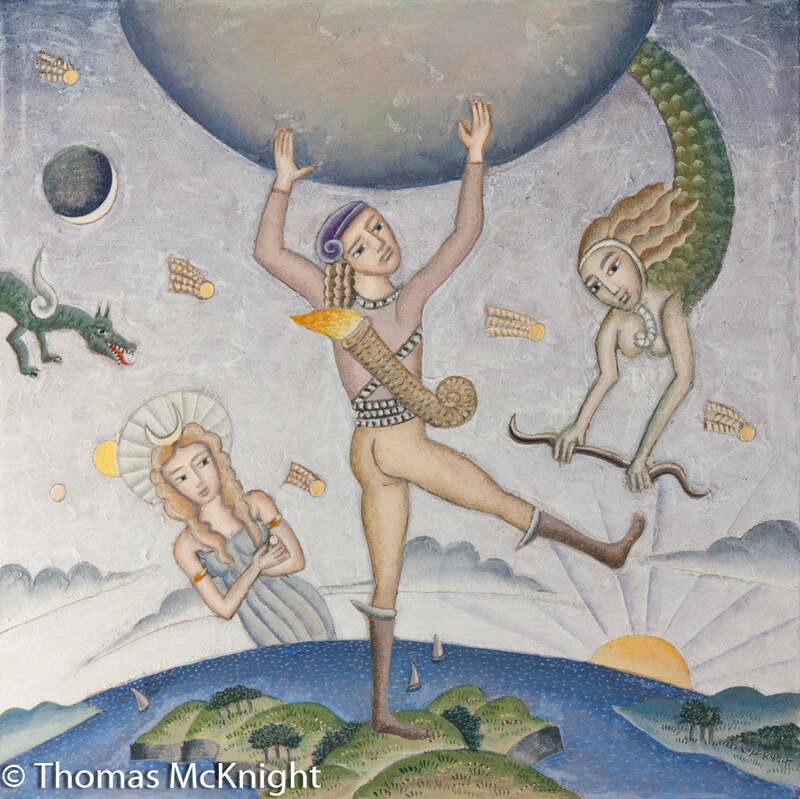 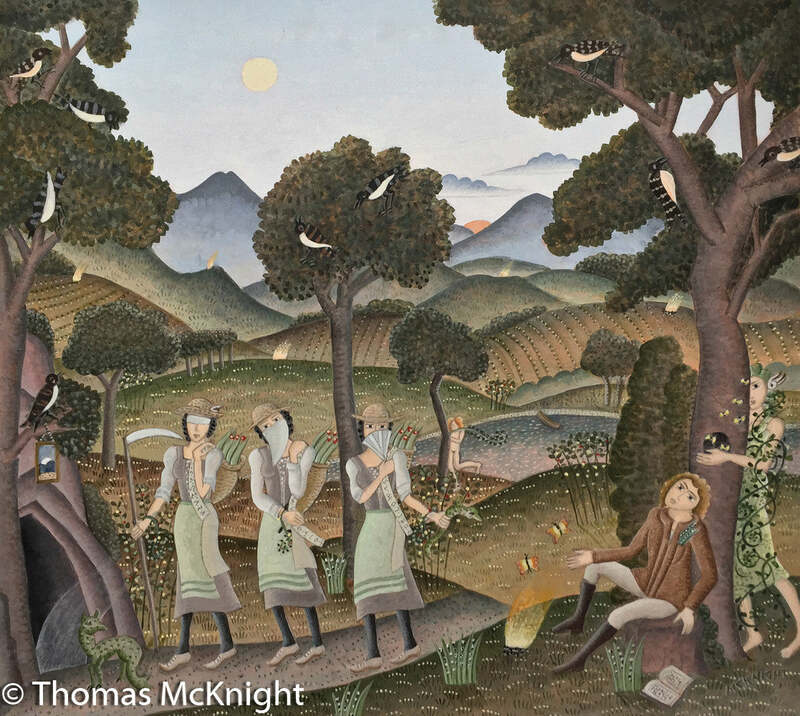 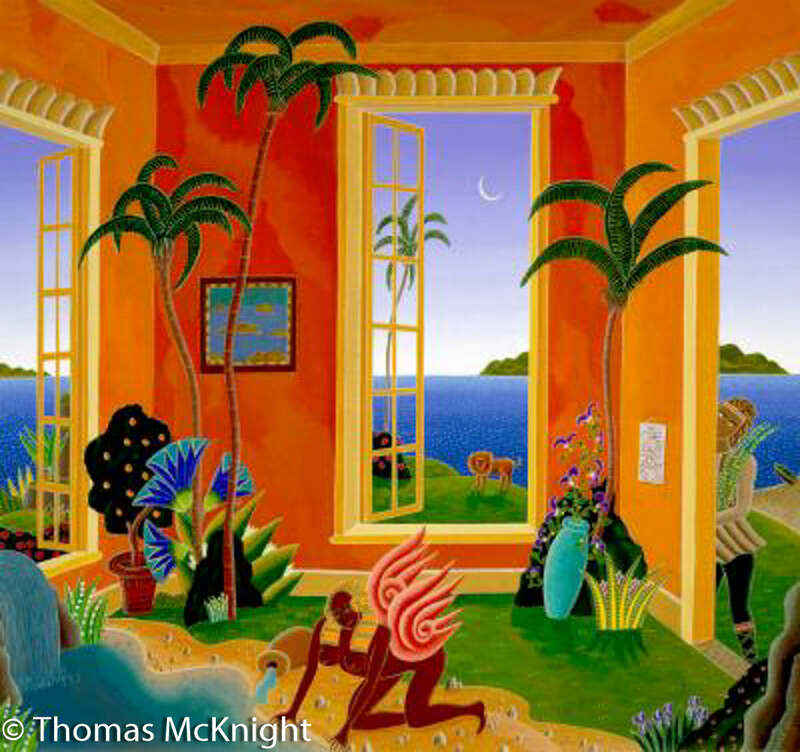 Thomas McKnight paints a world parallel to ours with its own suns and moons, where the creatures of his imagination live - grown out of desire for more spiritual richness and depth of subject and form. 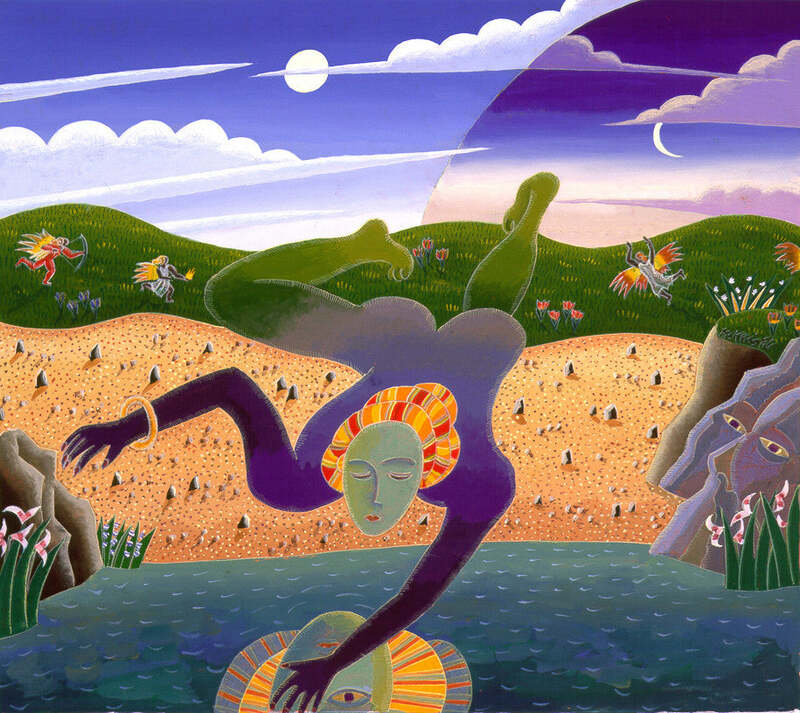 He felt the sunshine needed more shadow to bring this about, and in the shadow he found again some of the subjects he had been familiar with years before: nymphs in landscapes, lonely hilltops guarded by sphinxes, rooms where angels appear, walled gardens owned by Apollo but dedicated to Daphne. 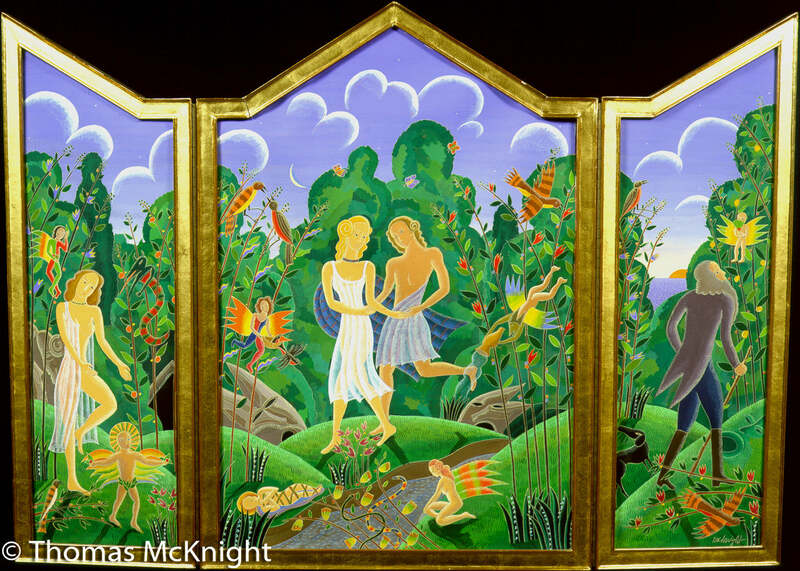 In every phase of his work, he has created Arcadias, exemplars of the harmony and beauty we spend our lives striving for but never attaining. 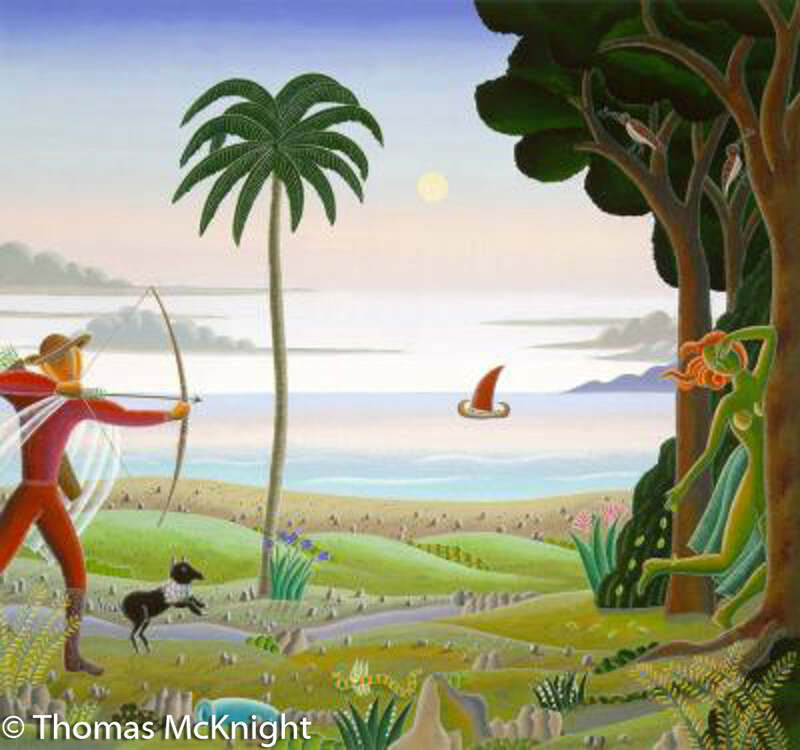 All Thomas McKnight original paintings are exclusive to our website. 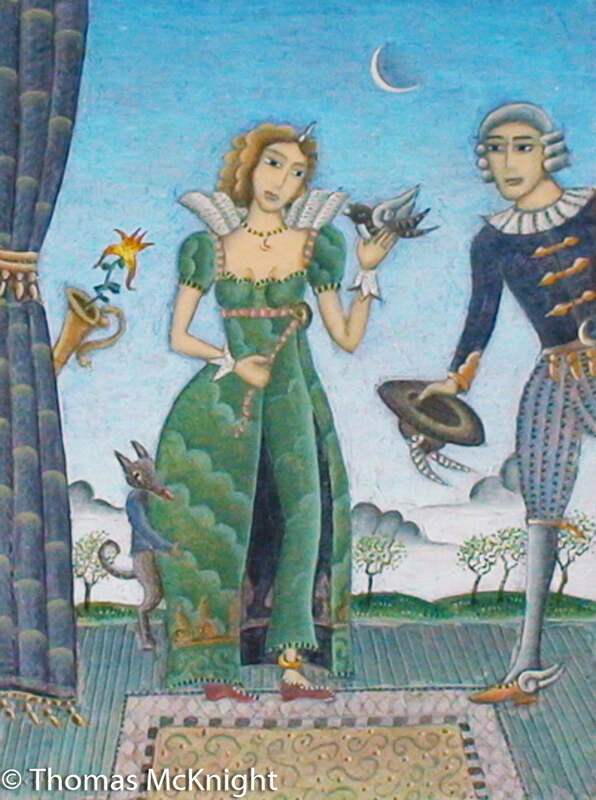 Dealer inquiries welcome. 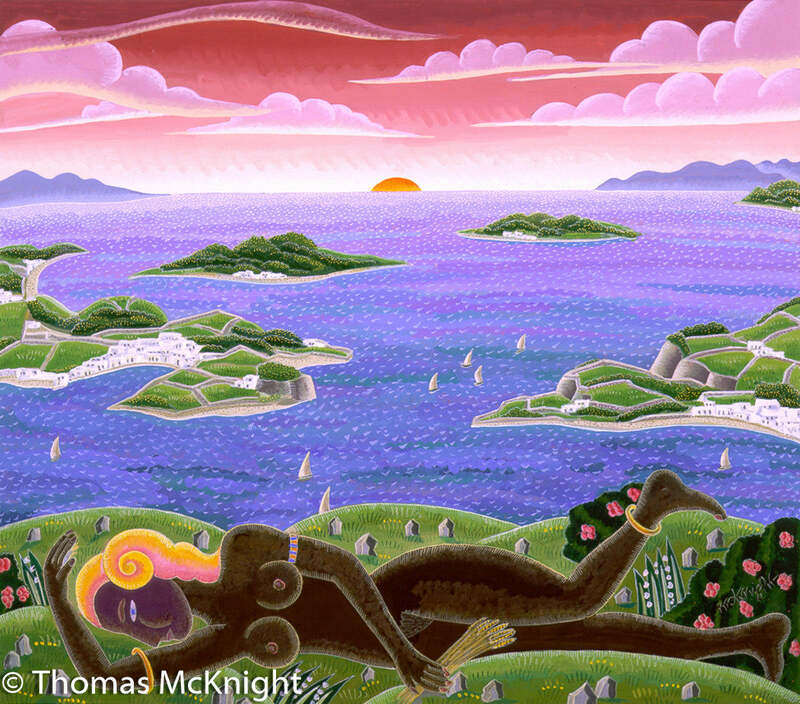 For more information contact us at gallery@thomasmcknight.com.